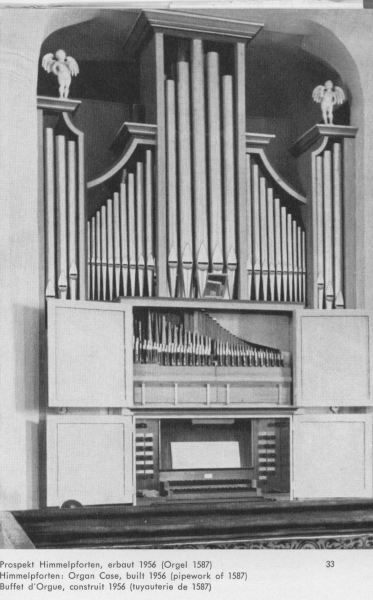 1834: The Brustwerk, Hauptwerk and Pedal of the organ of Stade St. Nikolai were installed by Peter Tappe in a new case. The specification was changed. 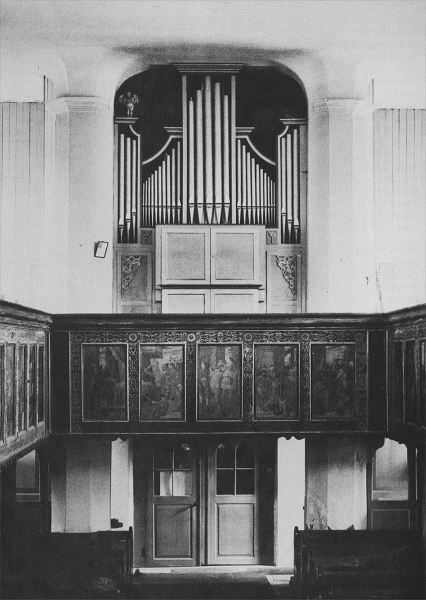 Noli me tangere "Diese Orgel befand sich früher bis zum Eingange der Kirche St. Nikolaus 1835 in dieser Kirche zu Stade. Im Sommer 1835 wurde diese von Tappe erbaut u. das Rückpositiv nach Linteloh (Kirchlinteln) verkauft." 1955-1956: Restoration by Paul Ott. 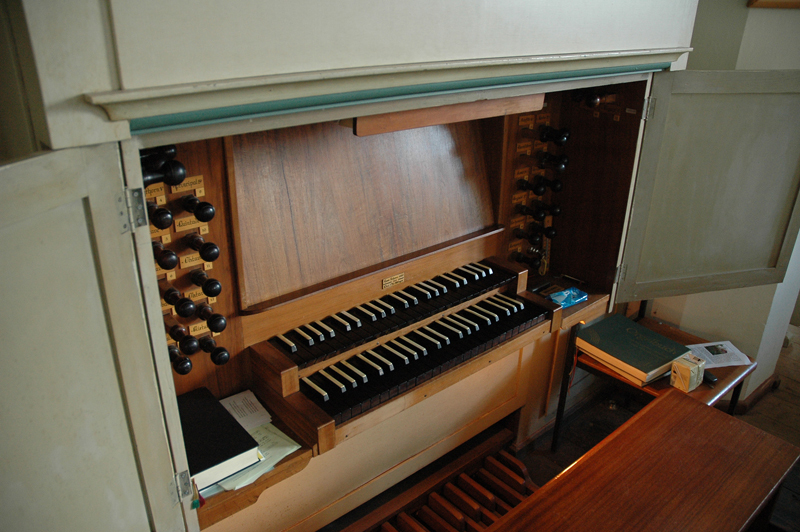 Many changes to case, action, pipe work and console. 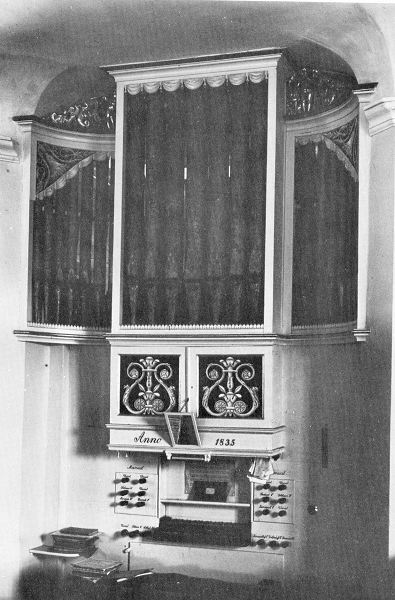 1987: Restoration by A. Führer after a church renovation. 2014: Restoration by Bartelt Immer. The original pipes from the 16. - 19. centory where restored, as close as possible, to their original situation and the pipes from 1955/56 where reintonated to match to the old pipes. 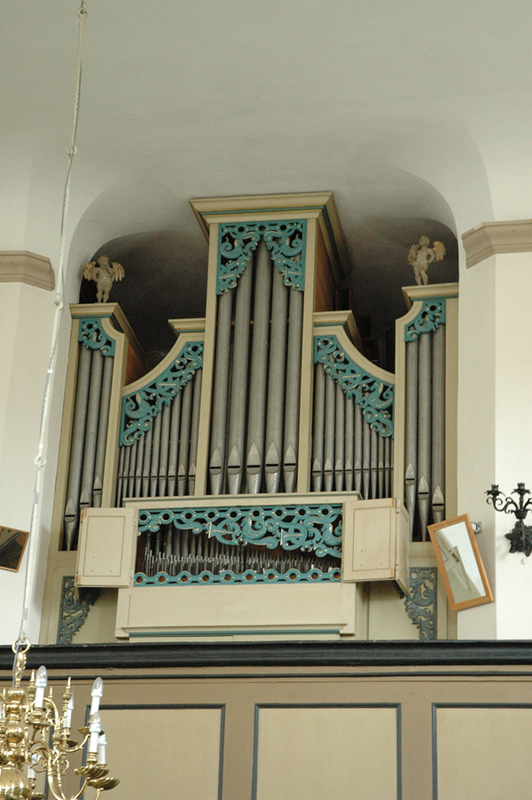 The Terzzimbel of the Hauptwerks was changed in a Sesquialtera II, using old pipes from the Schnitger-School.